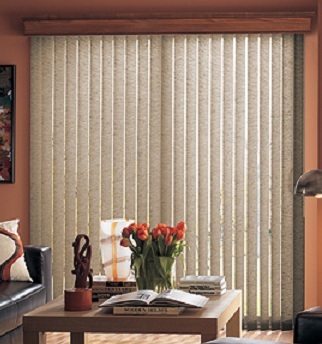 Fabric Vertical Blinds - Blinds Philippines – Call Us Now at (02) 893-1373! FABRIC VERTICAL BLINDS (PHILIPPINES) – Fabric vertical blinds are one of the most appealing and affordable way for adorning large windows, bay windows and patio doors. Available in wide variety of textures and color it could flawlessly match any furnishing. It serves as a practical solution in providing insulation in any room and minimizes heat transfer passing through the window. 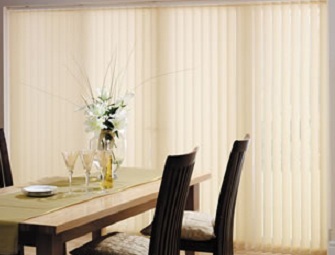 The materials used to create fabric vertical blinds contain UV inhibitors and offers the best solution for controlling light entering the room. Also, it allows better flexibility since it can withstand the pressure of being vertically stretched. Since fabric vertical blinds are made using two woven strands which runs in both vertical and horizontal planes, it gives the strands flexibility and greater amount of elasticity. That even with continuous usage the fabric vertical blinds is guaranteed not to distort and maintain the same appearance which is almost the same when it was newly bought. Another advantage of fabric vertical blind is that it weighs significantly less compared to PVC vertical blinds. With this the fabric blinds head-rail control system would last longer and would use fewer installation brackets, making it easier to install.